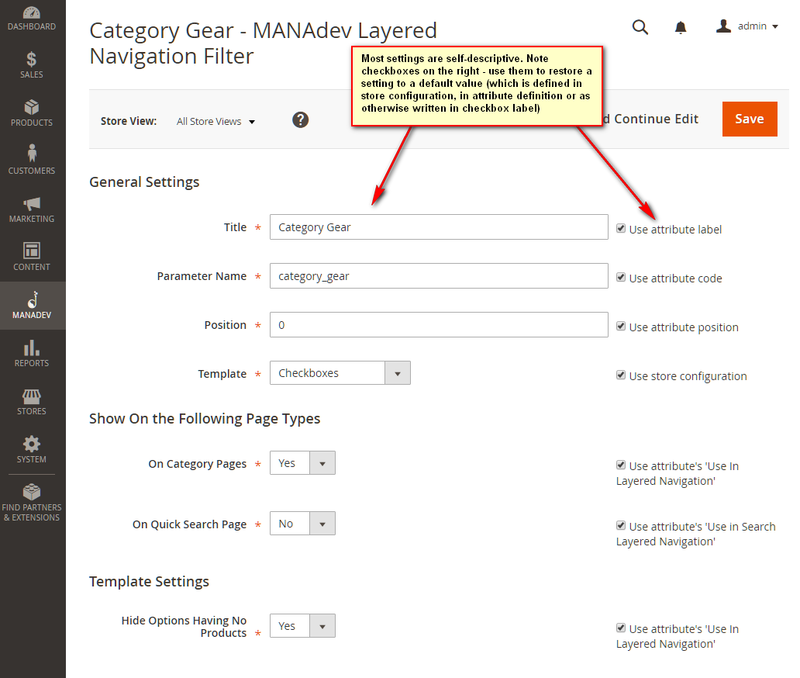 This extension establishes 3 positions for layered navigation filters: main sidebar, additional sidebar or above products. 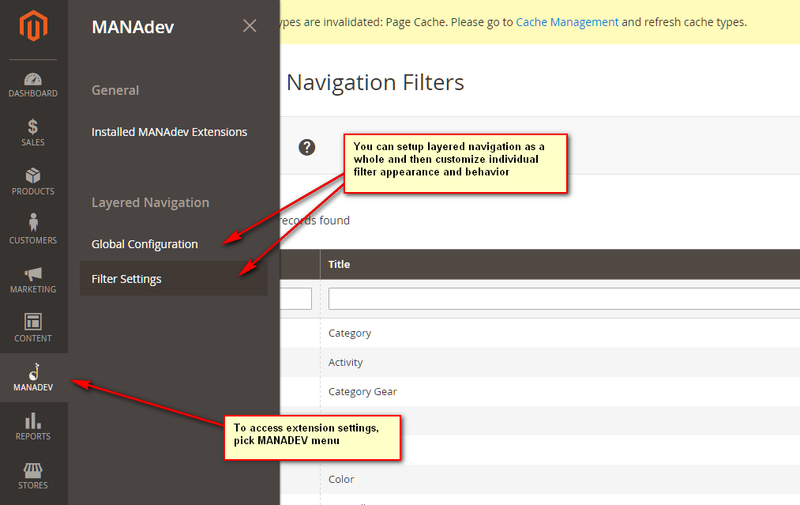 You can assign filter to any position, customize behavior of "above products" and more. In addition, it enables store customers to apply several options of the same filter. Example: customer can filter product list by few colors (for instance read and blue) at the same time. This extension is especially useful for sites without sidebars. 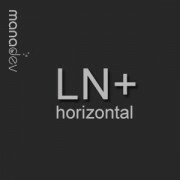 If products are displayed in full page width the ony place for layered navigation is above product list - and this extension is just for that. 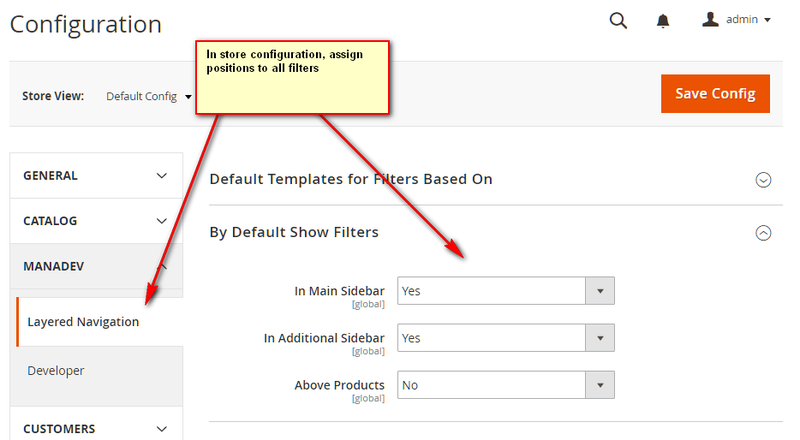 It is also possible to show certain filters in sidebar and other filters above product list. 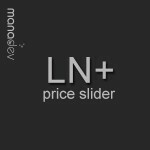 It is even possible to show filter in several positions at once. 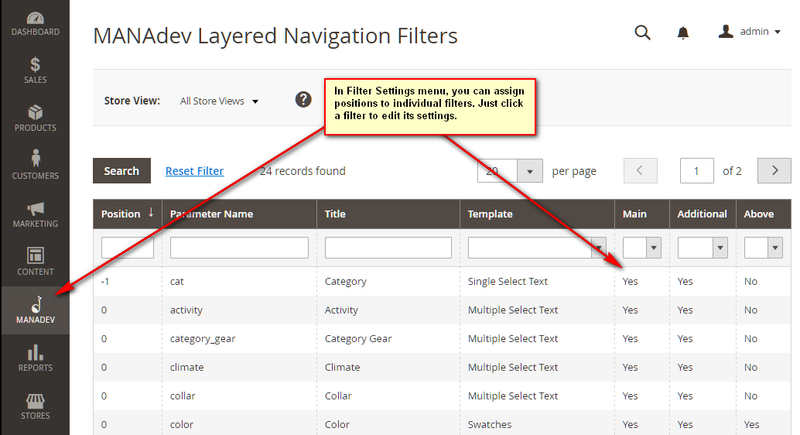 Filters shown above products can be organized as a menu with drop down option list or all filters can be displayed side-by-side. Also, this extension makes store navigation more flexible and more user-friendly by enabling store customer to apply multiple options of the same attribute. (eg. can browse for yellow and red shoes at the same time). 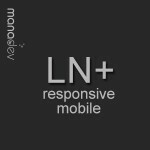 After installation on mobile devices mobile-friendly version of layered navigation shows up. 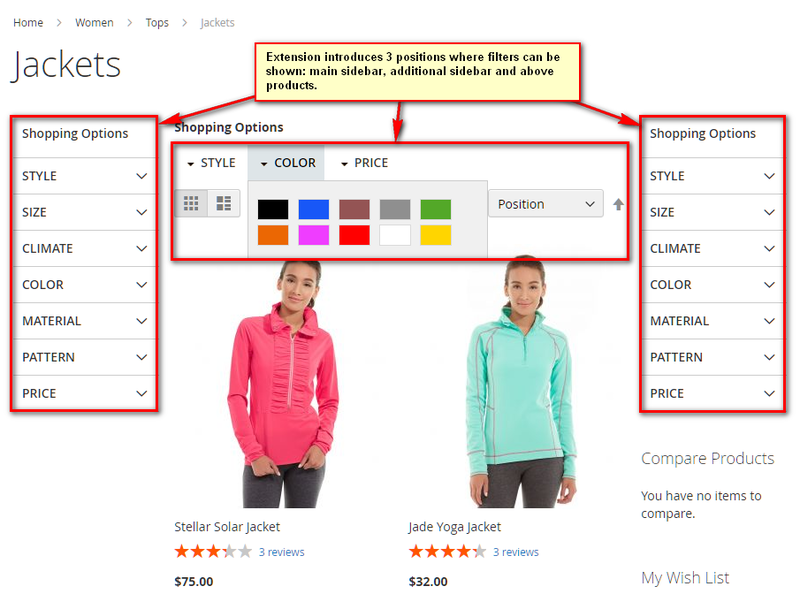 On desktops, visually layered navigation does not change, only behavior differs: when store customer chooses one filter option by clicking it, catalog is filtered by chosen option; after applying filter store customer still has possibility to choose and apply other option of the same filter. So you give store customer possibility to apply as many options of the same filter as customer needs. 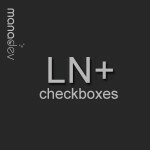 You can easily combine this extension with other our Layered Navigation extensions such as Mobile Layered Navigation, Checkboxes and more (existing, new and counting).